A lifetime of plumbing runs through our veins. As a young boy Frank O’Halloran used his mechanical mind sorting nuts and bolts into coffee cans at his father’s hardware store, Hayes Valley Hardware, Heating & Plumbing. Later on the business moved and Frank became a partner in Southwood Hardware Plumbing & Heating. In 1993, he was offered a position as Mechanical Supervisor for the So. San Francisco Unified School District where he managed the maintenance and improvements of 26 facilities and supervised all trade workers providing valuable project management expertise. After 3 years and at the request of enthusiastic customers, Frank realized that he missed being his own boss and in 1996 O’Halloran and his wife Anne-Marie began Paramount Plumbing & Heating. There, we store many hard to find replacement parts for toilets, furnaces, sinks and oh-so-much-more from our days in the hardware business. 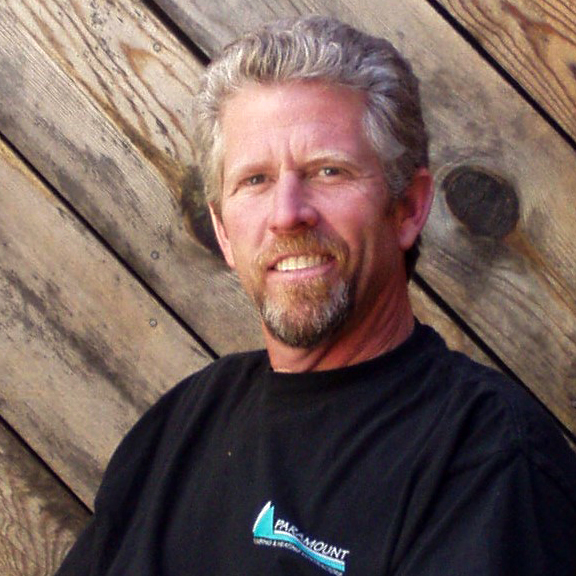 Raised around the world of hardware and plumbing and working in the industry for over 35 years, Frank’s ability to fix any plumbing or heating problem is unequaled. When you call Paramount Plumbing rest assured, you’re in great hands.